Martin Keown believes that 26-year-old Tottenham attacker Lucas Moura is “key” to their Champions League second-leg against Man City on Wednesday. 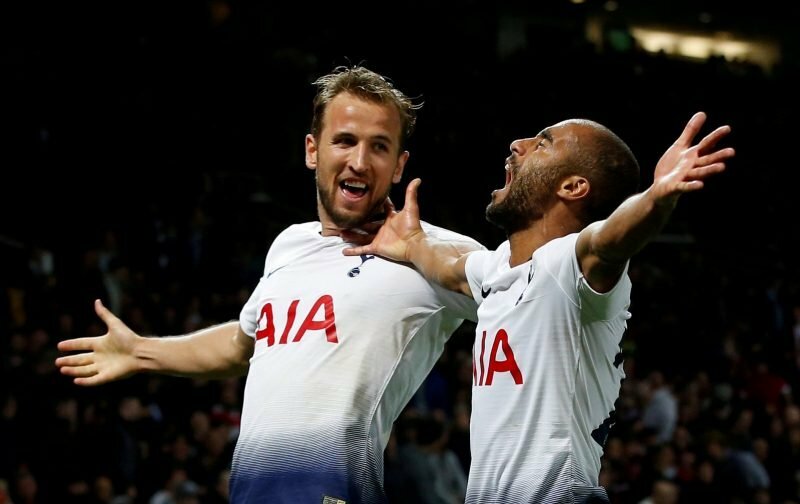 With Harry Kane sidelined through injury, Moura demolished Huddersfield on Saturday with his first hat-trick for the club after Heung-min Son was rested on the bench. And, writing in the Daily Mail, Keown was hugely impressed with a player who’s had to bide his time this year. “With no Harry Kane for Tottenham, hat-trick hero Lucas Moura is now key for their Champions League clash against Manchester City… Moura did not look a player who had scored just once in 12 appearances in 2019,” Keown said. “He showed outstanding technique with his second goal to control the ball with his left before volleying in with his right. His emphatic third was the sign of a player brimming with confidence. Keown went on to say that Son should play alongside Moura in the Champions League clash saying they’re “two speed demons who can punish City on the break”. After starting the first 12 league games of the season, Moura has only started eight since, but he’s scored four in his last two starts now and the hat-trick on Saturday showed he’s brimming with confidence. A goal against Man City at the Etihad on Wednesday would leave Man City needing three – two and City would have to score four. The temptation might be to try and contain Man City and defend the one-goal lead but that would be a dangerous game to play against players like Sergio Aguero and Raheem Sterling. Having Moura and Son on the pitch would present a very credible threat to City, who have to attack on Wednesday night. Fernando Llorente played okay on Saturday and he can hold the ball up well, but that’s not the game Pochettino needs to play in the second leg – we hope he plays both attackers in a game that’s set up to be a classic. The bookies still have Pep Guardiola’s men as the favourites to qualify – just – but Moura and Son could tip the balance in Tottenham’s favour.